The Nicolet Knights were a respectable 18-9 under head coach Paul Hepp last season, losing at Kaukauna in the quarterfinals. With the roster they bring to the table in 2018-19, anything less than a state championship would be a huge disappointment. 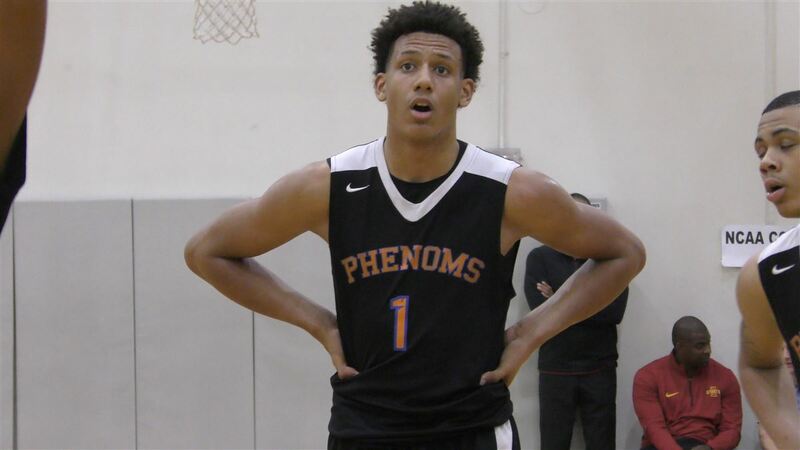 6-foot-8 junior Jalen Johnson transfers in with his sophomore brother Kobe, and Jalen looked like a future lottery pick this spring and summer for Phenom University in the NIKE E16. Combine him with the rest of the Knights’ rotation, and there is plenty of reason to be thrilled about their chances this winter. Johnson is ranked is 247 Sports’ Composite No. 5 recruit in the 2020 class, and with the versatility, he’s displayed, he may as well have all of the positions listed next to his name. Johnson is long and athletic but exhibits an overall skill-set that is well ahead of his peers. Johnson has already been offered by the like of Kentucky and Duke, and it’s crystal clear why they like him. Johnson is a gifted rebounder and a dynamic passer in transition. The do-it-all swingman will be one of the primary ball-handlers for the Knights. Johnson is certainly a contender for Gatorade Player of the Year, and he’ll be the main attraction in Wisconsin high school basketball. 6-foot-9, 210-pound junior Jamari Sibley starred alongside Johnson on Phenom University, helping guide the Milwaukee-based EYBL squad to a 17U AAU Super Showcase Gold Championship in Sibley, 247 sports 99th ranked recruit in 2020, will be welcoming his grassroots teammate’s transfer with open arms. Sibley has high-major offers across the board, and not just due to his frame. Sibley is more than capable of stepping out and hitting the 3, and has an impressive control of the basketball as he’s looking to attack. Returning senior guard Sonny Phinesee will play a big role for the Knights, as will 6-foot-8 returning senior forward Jarrett Henderson. Throw in sophomore 6-foot-6 forward James Graham with Johnson, Sibley and Henderson, and Nicolet has the most imposing frontcourt in the state. Jalen’s little brother Kobe is a high-major recruit in his own right, and will play big minutes in his first year with the Knights. Kobe is an evolving shooter from the perimeter, and should put up some numbers during his debut campaign with Nicolet. The Knights won’t mess around, testing themselves by traveling to ARS Hoopfest DC early on in December. They face off against WCAC ranked powers Paul VI and St. John’s College in that event, so we’ll get a great gauge on just how good Nicolet is on the national level. Johnson is a game-changing player, and his presence on the floor will be enough to beat just about everyone on their local schedule. Throw in the talented supporting cast, and it is state championship or bust for the Knights.